I had just finished a meeting discussing opportunities to love refugees in our city when the director of the program asks me to stay for lunch to meet his mentor of the last two decades. He asks me to share which neighborhoods we are planting The Oaks. And then a moment happened that I'll never forget. Kenny- a seasoned, spirit-filled, humble man- looks at me with tears running down his face and says, "Son, I've been praying for you for over 25 years." Since that conversation I have been reveling in the reality that God sees us. He cares about these people who are far from Him. He cares about this little bizarre 3 mile circle tucked away in a forgotten corner of Southeast Denver. And He is sovereignly moving human history- guiding, burdening, stirring, calling- His kids to be about their Father's business in ways only He can orchestrate. And this is just for a couple hundred thousand people in one little city on one little spec of the globe. Our God is a God of the nations & He is King ushering in His beautiful Kingdom in every nook and cranny of our world, among every people group He has created. He will get his praise through the Church multiplying among the nations. This was one of those moments church planters will tell for decades as part of the story of the church being birthed. But really, I don't know why I'm so surprised. This is consistent with what God has been doing virtually every week since we started on this journey. And it's the way He has worked throughout history. Can I encourage you in something? Our God can be trusted. He is more committed to accomplishing this mission IN us and THROUGH us than we will ever be. He is ruling & reigning- which is such a relief that we don't have to be in control of any outcomes. And that He is a good King who is using His power for the flourishing of His enemies, making us and *them* His kids. What you have given up praying for because God has tarried longer than you have patience for? Let me stir you up to believe, to take God at His Word, and to ask in faith for His kingdom to come and his will to be done on earth as it is in heaven. And do so with open hands to your life, letting the Good Shepherd fill them with better things and guide you along 'right paths for the sake of His name.' He gets glory when we walk in faith and dependence on Him to do what only He can do. How often we miss out on intimacy with our King and impact in the Kingdom simply because we do not ask. THANK YOU for praying for us. Please don't stop. He's answering. THANK YOU for praying for open doors to serve the school system! We have been attempting to reach out to the leadership of Denver Public Schools for months, but since our May Update we have been welcomed into wide open doors in two of the largest schools in our neighborhood. Only God! 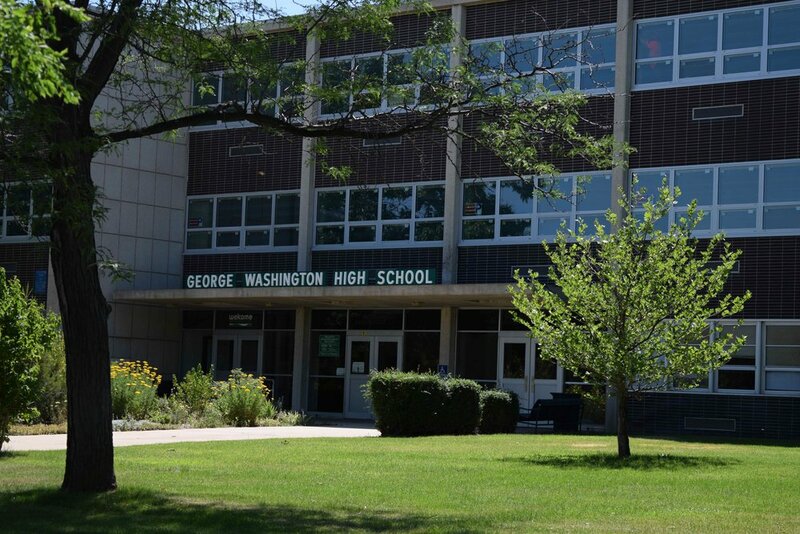 George Washington (GW) is the only high school in our neighborhood. GW is home to over 2,000 students of over 60 ethnicities and represents one of the largest socioeconomic gaps in the city with students from some of the poorest & most wealthy (reflecting the diversity of our neighborhood). Assistant Principal Kate told us we were the FIRST people in the community to reach out to help the school in her six years there. The school has suffered 6 different principals over the past 8 years, so there are significant issues at play. They have opened the doors wide open for us to mentor their 'at-risk' students, run their food pantry serving homeless & low income students, and tutor their athletes. Please pray for continued favor & wisdom for how to serve this school well. 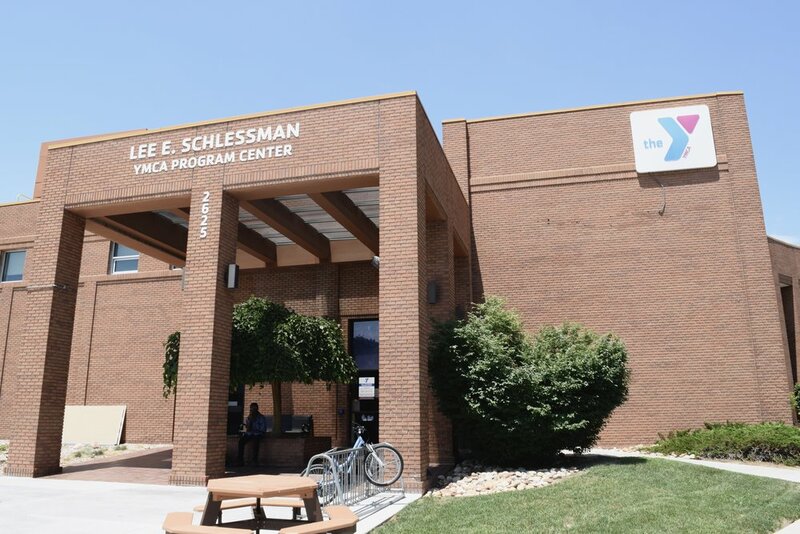 One of the first open doors for me months ago was being asked to sit on the Board of Directors for a program of the Denver Metro YMCA (where our family spends a lot of intentional time) that focuses on serving the under-served segments of the population (refugee, homeless, lower socio-economic, veterans, disabled, etc.). This allows me to not only help shape the direction of this board, but also to sit at the table with all the major refugee resettlement agencies & the local government & local school systems. One of the main projects for this Fall is conducting a neighborhood mapping & survey of metro Denver to learn about the demographics & specific needs, as well as applying for grants from the federal government to allow the Denver Y to become a 'Welcome Center' for refugees, which would open up tons of opportunity. Just last week the Executive Director of one of the YMCA branches asked me to also sit on their Board & help connect that branch's members to be more involved in the community. Please pray for continued favor here!! As great as the opportunities with the YMCA & local agencies are, there are significant gaps in what we are able to do with them together as the church because of strict stipulations on not allowing any association with faith-based groups. So, we've been praying for partnerships that will allow us to talk about Jesus & be part of planting ethnic churches here in Southeast Denver & around the world. Last week I crossed paths through unlikely, but clearly sovereign, means with a nonprofit called Ethne Global Services. These sisters & brothers have been loving refugees & immigrants for years in really holistic ways- from helping them transition into US culture, aiding them legally & medically, and training them in their language and occupational needs. Out of this, they've seen many begin to follow Jesus and have planted dozens of ethnic house churches through empowering indigenous leaders. What we love most is the opportunity to not only be faithful to make disciples of the nations here, but to connect this work globally- particularly in training pastors among these people groups overseas & working for holistic renewal of these unreached/unengaged regions. Through our friendship with EGS we have learned that one of the main people groups in our neighborhood are the Karen people from Myanmar/Burma. Based upon the need here we feel led for this people group to be where we focus a lot of our initial energy. We have been blessed by the 3 teams who have come to Denver this summer to love The Oaks Church & Garland Park. These teams have served us primarily through Prayer Walking the streets of our neighborhood, tiling up the soil, and believing with us for Oaks of Righteousness to spring up here. 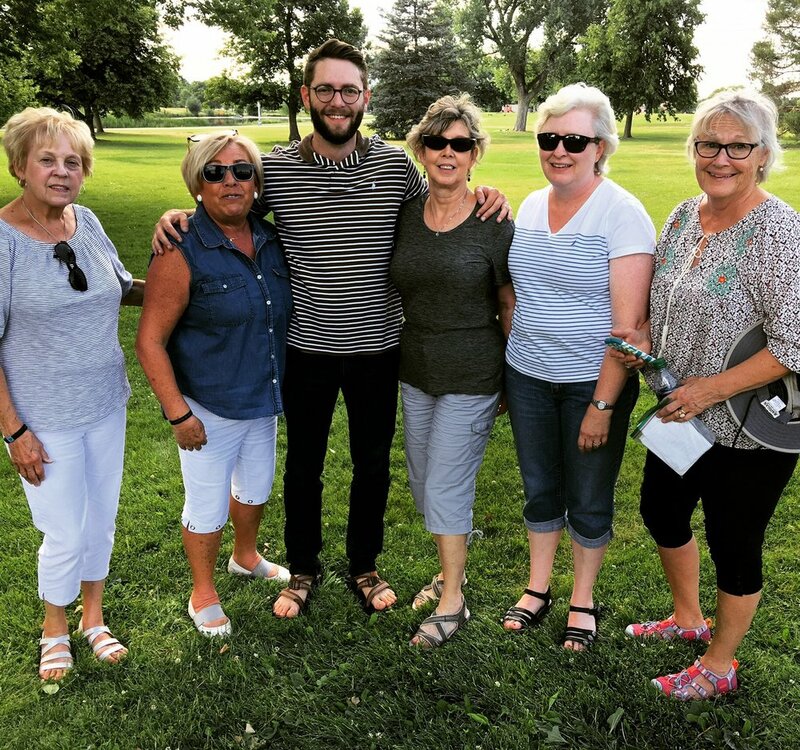 We also welcomed our first intern, Cameron Tucker, from Tri-Cities who spent 5 weeks with us meeting really tangible needs of our start-up church and spending intentional time mapping Garland Park & building relationships with people & organizations there. It's been a busy, but fruitful summer of kingdom investment! Another WMU Team of ladies from various TN Baptist Churches who came to prayer walk our neighborhood. 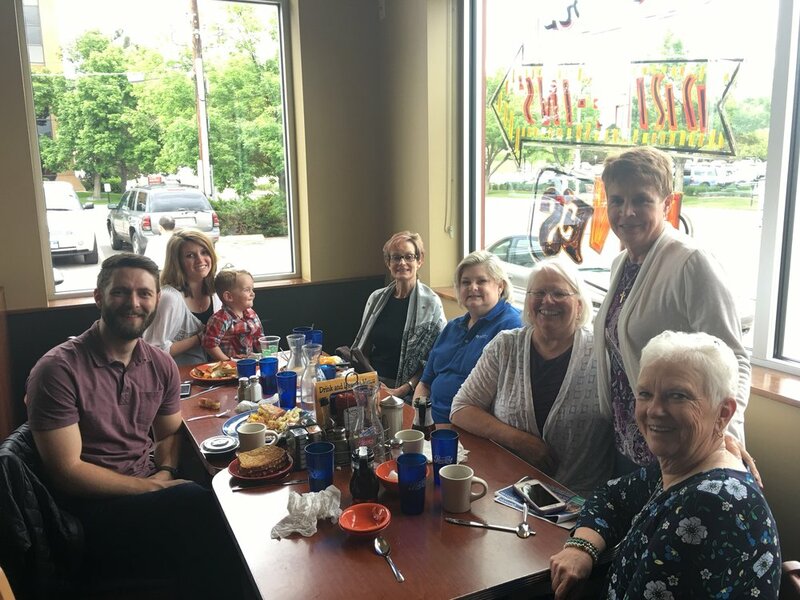 Our first team from our Sending Church, Tri-Cities Baptist Church in East Tennessee's orientation led by our Summer Intern Cameron Tucker. 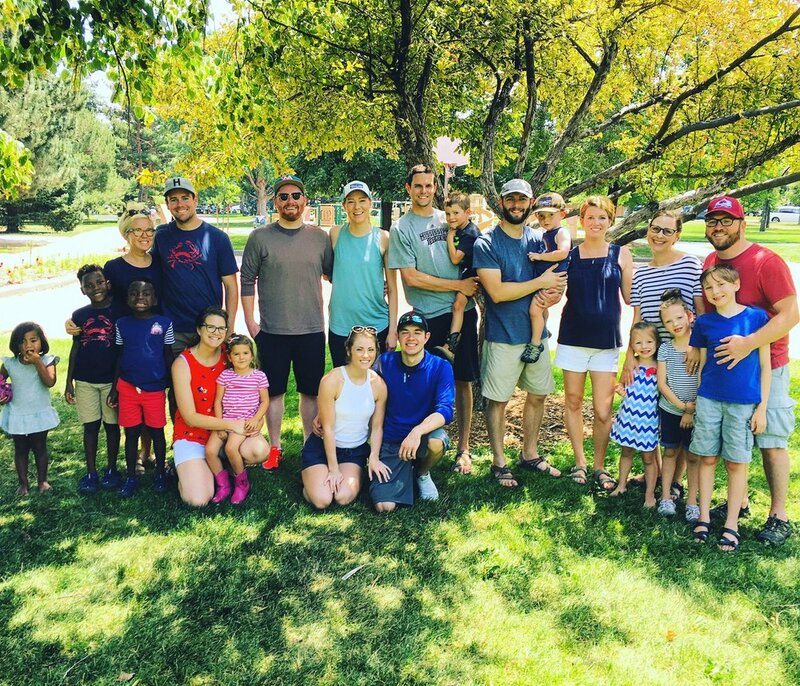 I had the opportunity to be a small part of the equipping of a group of university students spending their summer serving Denver through a program called 'GenSend' through our partners with The North American Mission Board. This summer we welcomed another family to our Church from Louisville, KY, making 6 families total as part of our Lead Team. We have continued to spend intentional time together in the everyday stuff of life & engaging our neighborhood in tangible ways. 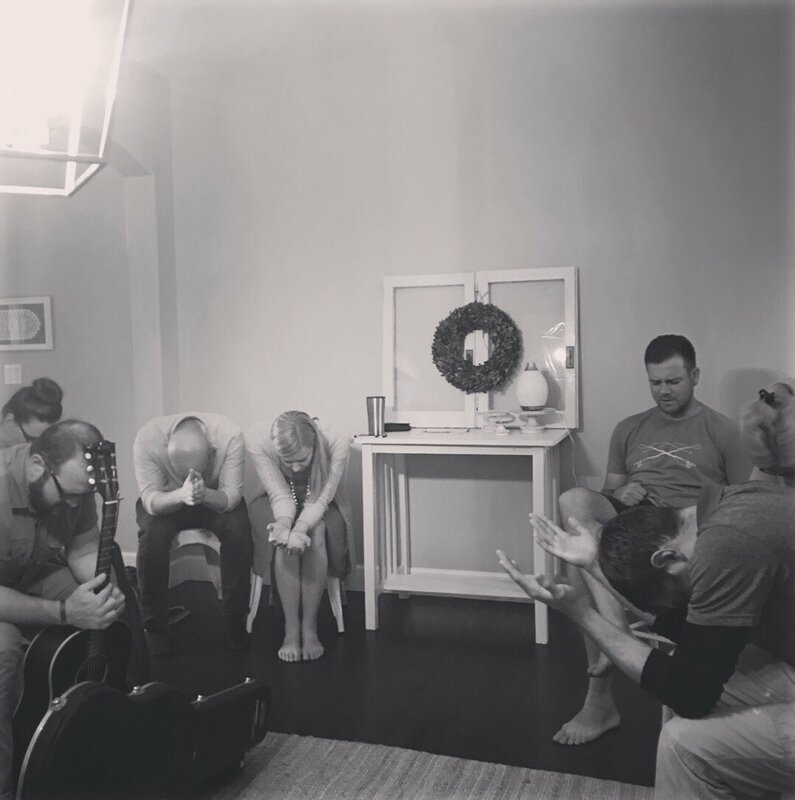 We gather weekly on Wednesdays at 7pm for a mix of prayer, worship, and community. Please pray for us as this August begins 'Phase 2' of our church where we will begin to transition to much more equipping & vision as we gear up for being officially 'sent out' by The Summit Church to begin Year 1 in February of 2019. Because of the gracious gift of the Tri-Cities mission team watching our kiddos, The Oaks Team got to spend our first night out together! Through partnership with Tri-Cities Baptist Church & the International Mission Board, The Oaks Church is serving as a Supporting Church for James Delatte who is spending 2 years as a Journeyman in SE Asia. James has relationship with 3 of The Oaks families, making this a sweet first way to engage in God's global activity. Please pray for our members as we all continue to love our neighbors. As we live intentionally in our neighborhoods, workplaces, parks, and begin to serve alongside these organizations that we would be sensitive to the Spirit and be bold to talk about Jesus. Will you pray with us specifically that each person will have favor this month to build or deepen a relationship with at least one person who is far from God? When I come back from paternity leave around mid-August we will begin 'Phase 2' of our Church development. This basically means that this Fall will be much more intentional in terms of casting vision, equipping leaders, and making strategic decisions as we head into being sent out by The Summit Church February 2019. Some have chosen to do a 21 Day Fast to seek God's direction in these big decisions as we lay a foundation for our Church. If you would like to join us in this, please let me know. We are in the final step of The Oaks becoming our own 501c3. Please pray this goes quickly so we can set up our financial process, giving us more flexibility to be generous with our resources here and around the world. If you are a monthly partner, we will be in contact with you this Fall about switching over your giving information! Thank you for your support!! We are finalizing our 2019 Budget/Vision Document. As we head into the Fall, we will be working to increase our partnerships to ensure we enter 2019 fully equipped to do what God has called us to do. Will you join us in praying for these goals specifically? Will you ask God how He may have you lock arms with us in this way? If you have any questions, please reach out at derick@theoakschurch.net.